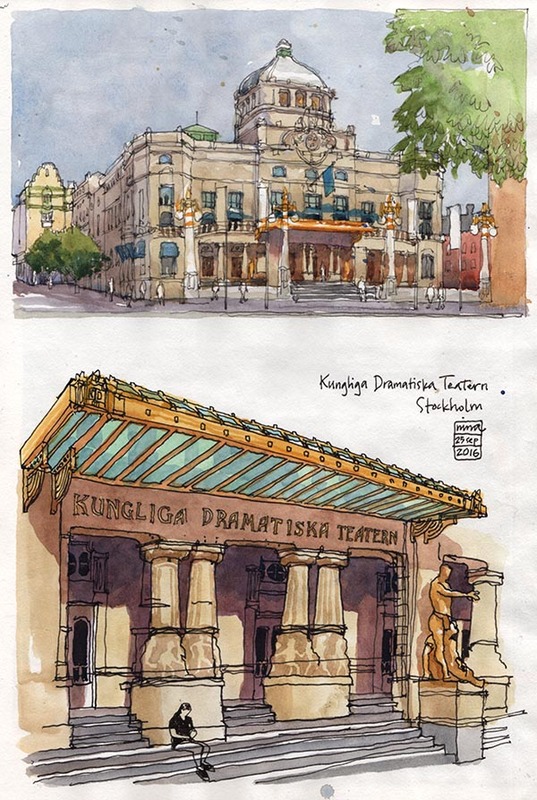 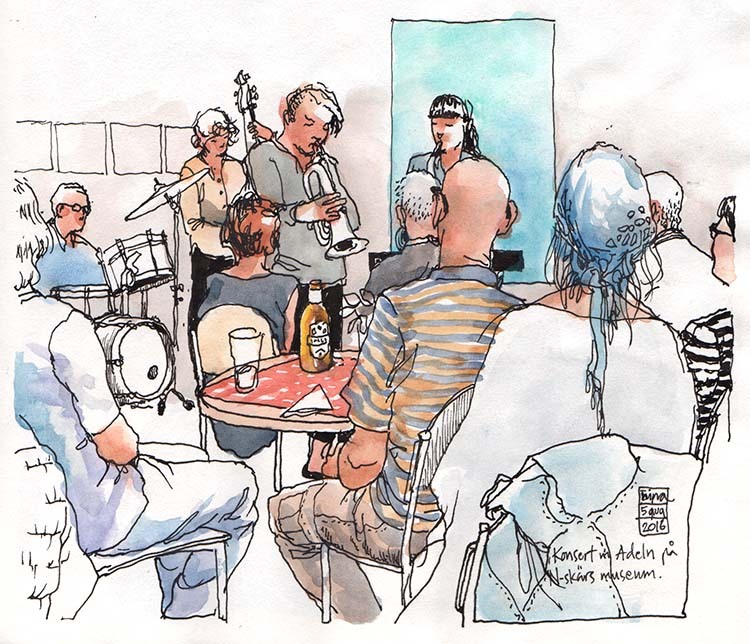 In September, Stockholm Urban Sketchers headed to Nybroplan to draw Dramaten (The Royal Dramatic Theatre). 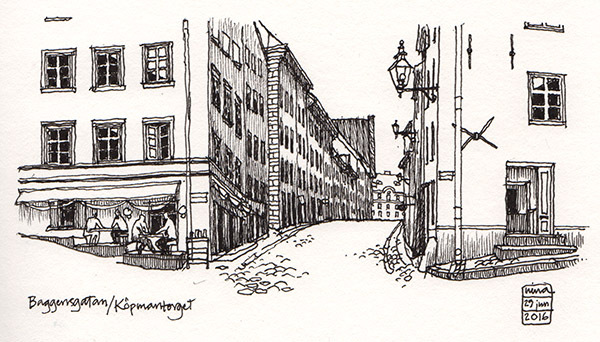 Lovely weather, lovely place, and great coffee with the drawing crowd afterwards. 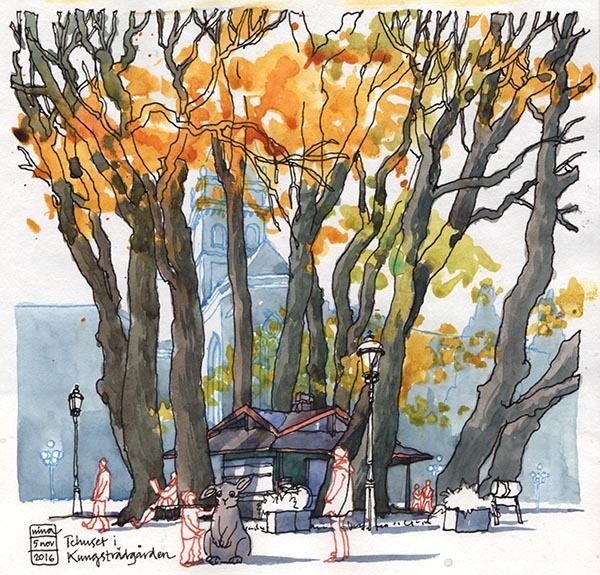 A4 size, UniPin fineliner and fude nib fountain pen with black De Atramentis document ink, and watercolours, in Stillman & Birn alpha series sketchbook.